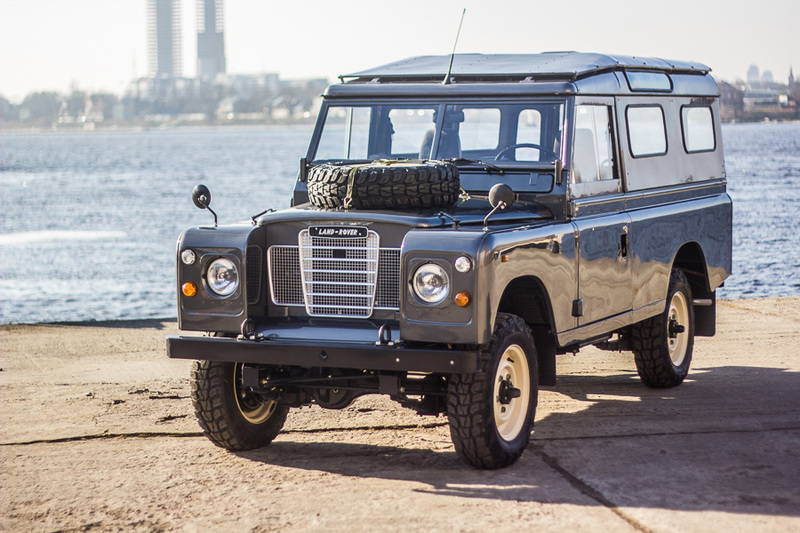 This fully restored 1984 Land Rover Series III 109 wagon was listed on ebay this summer. I haven’t seen that many long-wheelbase two-doors. The truck looks stunning in grey with cream steel wheels. During the process of the restoration the car was fully dismantled and all automobile components, frame, engine, transmission, body details, wiring, brake system and cooling system has been checked and rebuilt. All components have been cleaned from dust, rust and the old layer of color. After cleaning the metal components were galvanized, covered with powder color or colored. All aluminum body panels were cleared from old color and covered with qualitative primer, which shields it from oxidation. The floor, the roof, the engine cover and the doors have been lined with sound-proof panels. Individual roof side and floor lining has been set up. Regulation of valves, carburetor, wheel alignment, brakes, manual brakes and front lamps, as well as tire balancing has been carried out. A 500km long test ride has been made with the automobile, after the test ride, a technical test has been carried out and regulation was checked no defects were found. The automobile is in excellent technical and visual condition, it is ready to participate in road traffic or increase a collection. 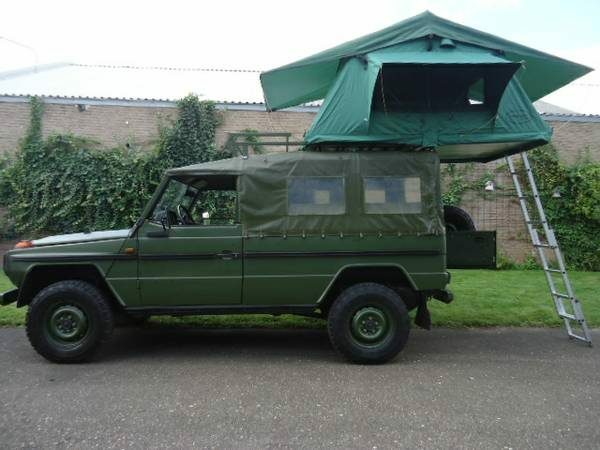 The asking price was $49,000 and the truck was located in Latvia, in eastern Europe. The early Jeep, it’s about as plain as a cardboard box, and about as versatile too. 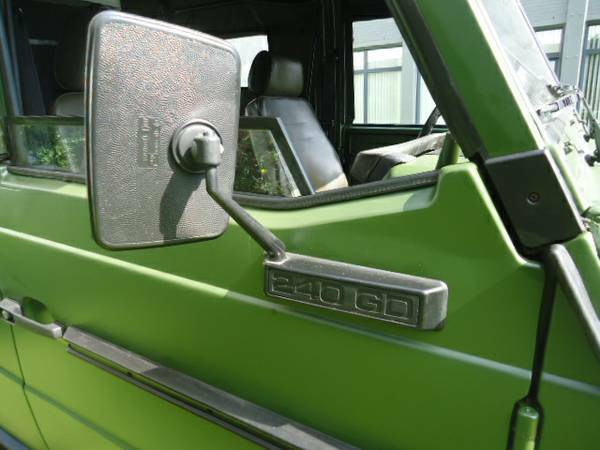 It’s an honest thing—the essence of the 4×4. You can’t distill it down to get anything simpler. 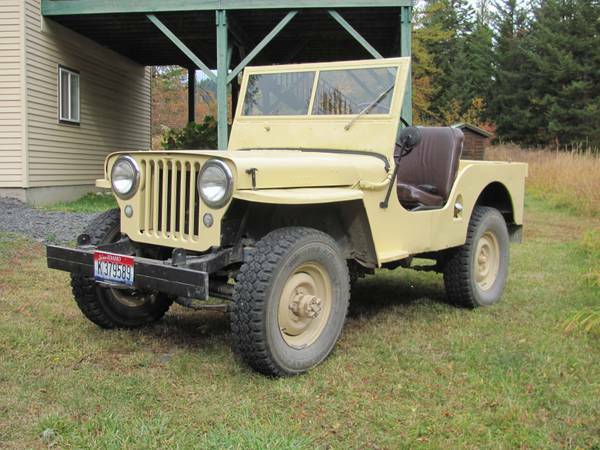 And here’s one for sale, a Willys CJ-2A from 1946, the first year of production. 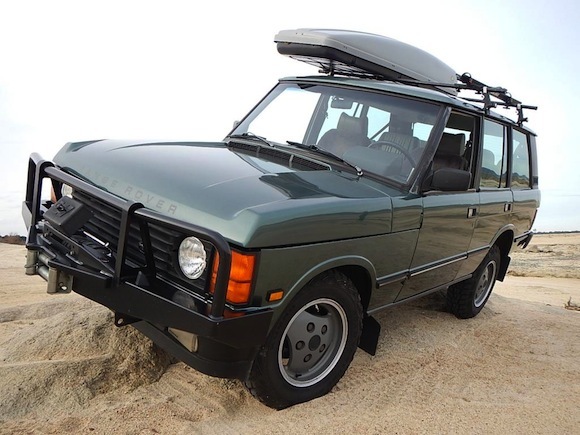 It came with a 60 hp, 4-cylinder engine good for 105 lb-ft of torque, a 3-speed transmission, and a 2-speed transfer case. This one has been treated to a three-year, father-and-son rebuild. The engine was rebuilt as well, but the job was done by a professional. It has a new Solex carburetor, 12V electrics, larger-than-stock rear brake drums. I love the side-mounted spares on these. 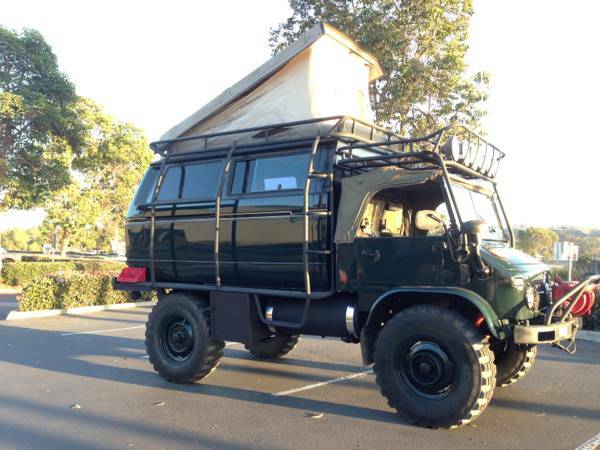 This jeep is available for the more-than-reasonable price of $6,000 in northern Idaho.Click through at the end of the post to read the original ad text. 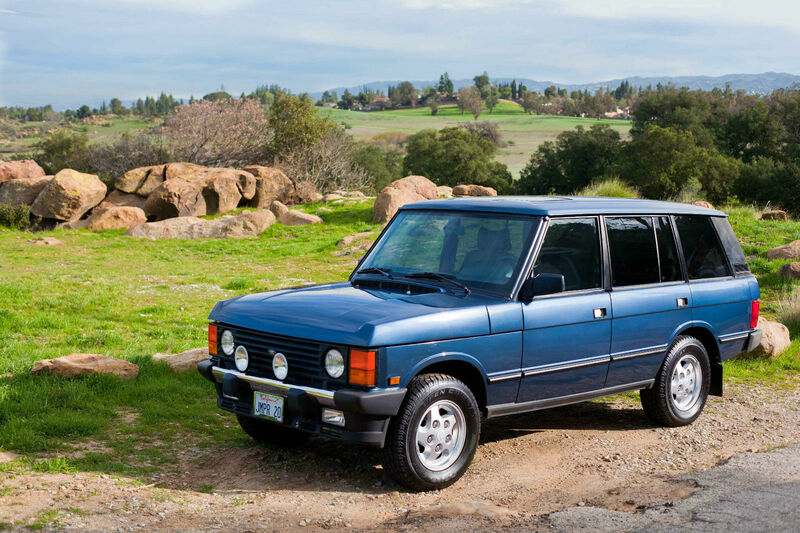 This 1988 Ranger Rover Classic has 315,000 miles on it. It was posted on Bring a Trailer yesterday and snapped up today. The asking price was $5,200. The article said that the owner, an Army helicopter pilot and aerospace engineer, maintained it “ahead of schedule.” It sure looks like it. I’m not afraid of high-mileage trucks anymore. I recently heard the instructor of the automotive class I’m taking say he’d once rebuilt a Honda engine that, when he pulled it apart, looked new. It also had about 300,000 miles on it and had benefitted from 3,000-mile oil changes since day one. I don’t think it’s age that ages our trucks — I think it’s lack of maintenance. Anyway, it’s nice to see old trucks in such beautiful condition. There are a couple of additional photos after the jump. Also check out the post on BaT and the related gallery on Flickr. 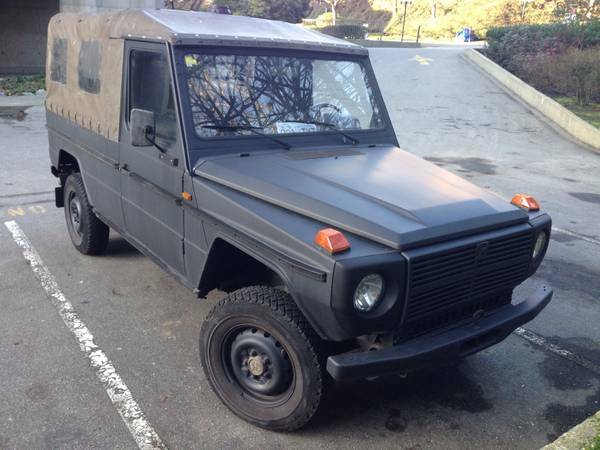 This matte-black, milspec G-wagen, a 1990 Mercedes-Benz/Puch 230GE, is the the upmarket G500’s bare-bones, older cousin. While locking front, rear, and center differentials, and legendary off-road capabilities, are baked into the G-wagen DNA, you’ll have do without the brawny V8, and front-and-rear heated, leather seats in this version. Power, in this case, comes from a 2.3-liter, 4-cylinder, gasoline engine good for 125 hp and 141 lb-ft of torque. 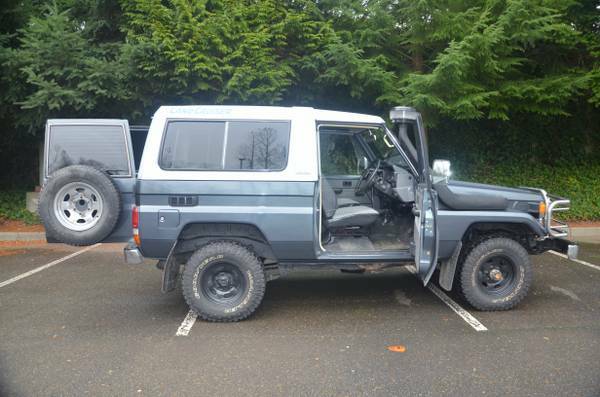 Whether that’s enough to motivate a long wheelbase (LWB) G-wagen, you’ll have to determine with a test drive. Out back it’s configured as a soft-top with seating for six, most likely via two, long, folding, bench seats (in addition to the two seats in the front, of course). The transmission is a 4-speed manual. Mileage is listed as 69,300 km, but, if the odometer has only five digits, look carefully around the truck for wear to make sure the odo. hasn’t been rolled over. One good place to check are the rubber pads on the foot pedals. On a high-mileage car, they’ll be quite worn. Also make sure the odometer is running consistently and doesn’t cut out after five miles or so. It’s listed at CN$26,500, which is a significantly higher price than I’ve seen elsewhere online (check the links below). If it’s a nice example though, you’ll surely be able to negotiate. The truck is located in Vancouver, Canada, and is one year away from legal import status to the US (the 25-year rule). Special thanks to WCXC reader Clay R. for spotting this one for us. 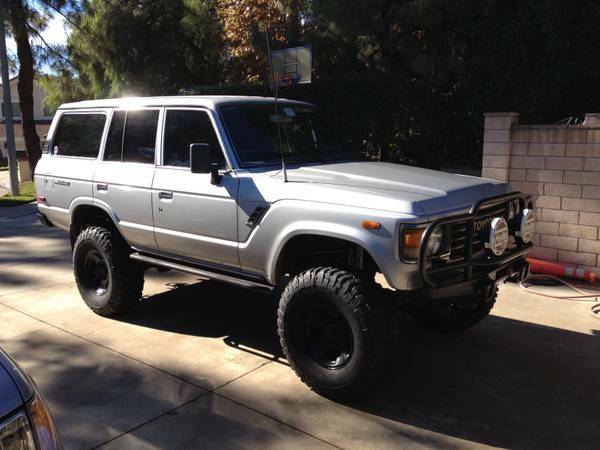 There’s a very nicely built FJ60 Land Cruiser for sale in Los Angeles right now. This one has ditched the inline six in favor of a CARB-legal, Chevy 350 V-8 crate motor. The suspension has been upgraded as well to Fox 2.0 reservoir shocks. Other highlights: on-board air with a 2.5-gallon accumulator tank, dual batteries, rear diff. lock. The list goes on. 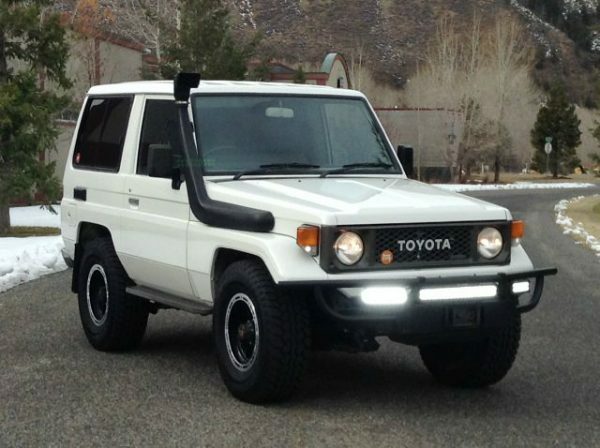 This FJ60 has 320k miles on the body, 20k on the motor and drivetrain. It’s located in Claremont, California, and is being offered for $21,000. See the rest of the post for a bunch of photos and the full ad text.